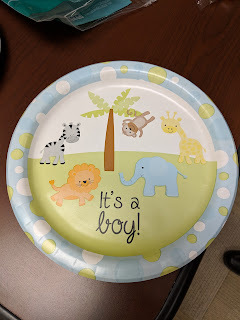 We had a surprise baby shower planned for a co-worker today. She went to the hospital last night to deliver so...oops. We still had the potluck but man, we messed up. 3568/365 - Harry Potter Day!